There’s no roadmap in life, singer-songwriter & multi-instrumentalist Joe Bailey will be the first to tell you that. When he started writing under the moniker, BAILEY, he initially envisioned the songs with a full band. Little did he know it would morph into a full-fledged solo project. “It was a blessing in disguise”. That’s how he describes the initial struggle of trying to form a 3-4-piece band, but ultimately failing due to other member’s schedules. This left Joe to begin steering the helm on his own. What at first seemed like an unfortunate circumstance turned into a serendipitous situation: an ongoing collaboration with producer Ian Curnow (Talk Talk) was burgeoning, and the BAILEY sound was headed in a new direction. BAILEY’s first introduction to the world was with his sparkling debut single “The Future”. 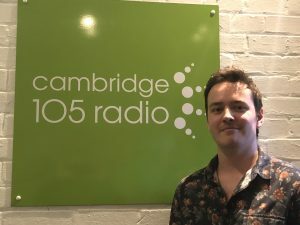 The song received a lot of good press and ongoing support from BBC Introducing Cambridgeshire along with many other radio stations. Now, he is back with a brand new follow-up called “Change”, a gospel-inspired summery pop track with anthemic choruses.